There was a time in the not too distant past when if I heard the term "logger" I would have had a mental image of a Paul Bunyon lookalike in jeans and boots and a plaid shirt and suspenders splitting logs with an axe. Oh.... but that was another life. 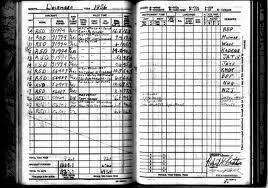 NOW I hear the term "logger" and I think of log books. The place where you write bg's and insulin doses, basal and bolus, carbs and corrections. Don't look at me like that. I KNOW you know what I'm talking about. You may not DO it.... but you know. We have been faithful loggers since Sweetpea's diagnosis. We got these awesome little blue books in the hospital and we've used them ever since. I like them. They are simple and yet have enough room for everything you need to write without being bulky. We always stocked up at our quarterly endo appointments. Except the last one. We forgot. Didn't realize we were running low. Usually no big deal. Our wonderful NP sends us some if we need them. One problem. She's out on maternity leave! I haven't mentioned this before because I'm trying to pretend that it is NOT really happening. I LOVE K, our NP. SHE is our endo. SHE is the one we see at clinic. SHE is the one I call with problems. I know what days she is on phones and know to call then. How dare she go and have a baby?!? What exactly am I supposed to do?!? I'm totally kidding. (sort of. pretty much.) She is the sweetest thing Ev-er. I'm so glad that she is starting her own family and I wish her much happiness! But I also wish her a quick return! I'm out of log books. 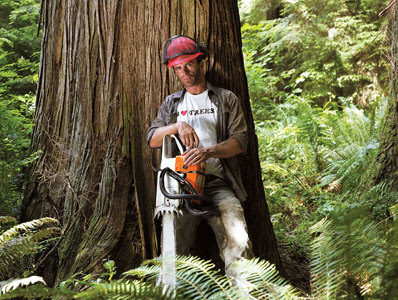 What's a logger to do? Now, I know many of you are saying, "Logging? What's that? You mean I'm supposed to write all that crap down?" My response is - do what works for you. And writing all that crap down works for me. If my endo is MIA and if I'm on my own in this until she comes back, (which I'm totally not but it just sorta feels that way) I better start whipping these bg's into shape. And that starts be being able to actually REMEMBER what the last reading was... So I need a log book. What do YOU do? How do you keep track of it all? What is your secret? I just use a good old notebook. Each number gets the time with the BS and what was done. All stretched out on one line, easy to see! No fancy stuff here! Thank God for the pump that keeps all that information and for Carelinks that lets the endo see it. We rely heavily on MM carelink software here. It keeps all CGMS, pump (carb boluses,basals, etc) and meter readings and puts them all together into endless graph and report options. I'd be lost without it. When we have serious issues and I want to SEE the numbers as I go, I have a very detailed spreadsheet that I made it in excel. We use the Animas software, ezManager...it has ALL the info I need and some cool graphs too. If I need to analyze numbers, I can print out the report and "see" whatever is going on. Haven't logged in over a year and a half. One touch has a downloadable version on their meter website. I just saved it in a PDF and printed it out when we needed it pre pump. Now I rely on the MM program. I created an Excel spread sheet that works well for us. I'd be happy to send it to you, if you'd like. Just say the word. I am like Heidi...Excel spread sheet...with hourly boxes...except every 2 hours over night. Let me know if you want it ... I'll email it to you! That's a hot logger up there! I log in my brain!! But - i used to log on a spreadsheet - it worked well for us - I can send it to you. I know you have several offers but you can check them all out and see if any of them work for you.